Dan Burdett’s enthusiasm in learning from others has reinvigorated his family’s organic dairy business. Jack Watkins finds out why starting from scratch sparked new ideas. Farming is a notoriously difficult industry for the outsider to break into. But what of the farmer’s son who walks away from his inheritance and then decides to return? Third generation dairy farmer Dan Burdett can testify to the challenges involved, but is also a successful example of how they can be overcome. His father was a farm manager and farmed under contract at the present farm, near Lindfield, West Sussex, from 1986-1994 when he was then able to buy half the farm, converting it to organic in 1999. Dan assumed full responsibility for the dairy side of the business in 2012, a move which has brought an injection of new ideas and investment. But Dan admits his initial learning curve was steep. “As a kid I enjoyed being here in the summer holidays, but around the age of 18 felt a bit lost to be honest,” he says. “I couldn’t see it had a future. My dad worked all hours and that wasn’t an attractive proposition for me. Having spent a year abroad it was only around the age of 28 he started to think about what he really wanted to do. “I’d always wanted to run my own business and work outside and my wife said to me ‘that’s what your dad does’. A year later, Dan moved back permanently, but with no agricultural training, he had to start from the bottom. “I had to learn everything, milking, scraping, calf rearing and stock handling. All I knew was how to drive a tractor. “I was like a student coming in at 17, and it was difficult for the herdsman at that time, an older guy who saw me as a threat. As well as on-farm training, Dan completed several courses including a post-graduate diploma in organic farming at SAC in Aberdeen. He joined local farmer discussion groups, which he says he found intimidating at first and, most testing of all, enrolled for the Worshipful Company of Farmers’ advanced course in agricultural business management. “I felt out of my depth,” he recalls. “There were people working with 2,000-3,000 acres and in multi-national businesses, and I was just this small dairy farmer from Sussex. “It was make or break on confidence and it would have been so easy just to hide in a corner, but I’ve always felt it’s important to push yourself and learn from the best. While Dan follows the same low cost, low input principles of his father’s system, including autumn calving and a self-fed, summer grazing 240-strong Holstein-Friesian herd, there have been several improvements. 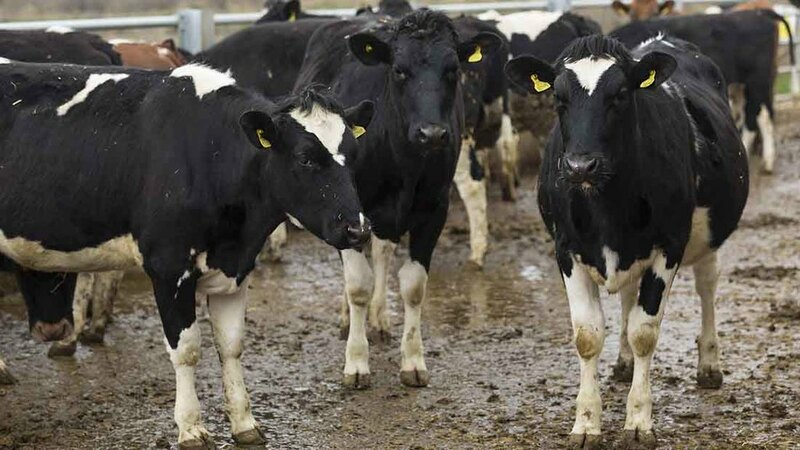 Where six black and white bulls were used, this has been reduced to three to get uniformity across the herd, with AI using only Irish and New Zealand bulls with high rankings for fertility and longevity. “We are on an Arla manufacturing contract so I need the fats and proteins and these bulls are good for that, and for the same reason we have also used a Jersey occasionally. Dan describes the investment in a new 20:40 milking parlour as being the catalyst for a major recent improvement in herd performance. 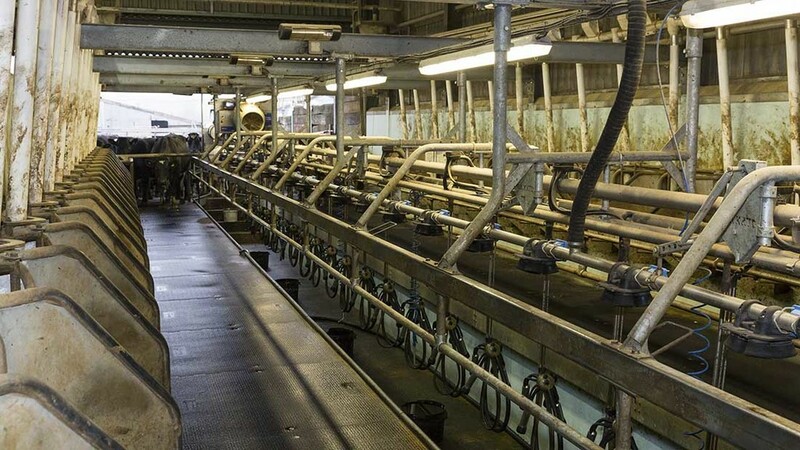 “It’s a very simple parlour, with no automatic cluster removals, but it has helped revolutionise things. Dan attributes the improvement to a variety of factors, including better feeding with an emphasis on getting as much of the farm’s homegrown silage into calving animals from the beginning of September. The improvement in cow fertility rates he attributes partially to Luke as a ‘a fantastic DIY AI herdsman’, but also more to a more disciplined approach to bulling spotting and only serving cows which are definitely, rather than marginally, in heat. Five lots of 20 minutes a day are spent on trying to spot cattle at bulling stage. Cows average three-and-a-half lactations, but they are trying to improve that to lower replacement rates. “We sell any excess stock in-calf, so we like to have a few more heifers than we need. A new barn for the heifers, fitted with silage clamps, reflects the a currently profitable sideline in selling surplus heifers. One particular focus for Dan is pursuing his interest in soils. The soils are a clay-loam mix with a lot of Tunbridge Wells sand, which means drainage is better than on the heavier Wealden clay farms. But as an organic farm reliant on producing all its own silage and cannot apply nitrogen, soil health is of primary importance. Planting herbal leys has yielded good results, providing extra growth in midsummer when rye-grass is struggling through lack of moisture. Currently there are eight hectares (20 acres) of the leys sown with herbal seed mixes, with the aim to increase this to 32ha (80 acres) of the grazing platform. While an aerator has long been used across the farm, Dan has just invested in a penetrometer to measure which areas could most benefit from the process. Dan also plans to make more use of compost teas which contain brewed bugs and fungus and aid creation of more friable, nutritionally-rich soils. “Farmers apply a lot of muck but there needs to be more understanding of the nutrient recycling role of fungi. Dan is a great believer in communication, not just with the wider public through the farm’s popular open days, but between sectors. He thinks there needs to be more exchange of ideas between organic and conventional farmers. He attended the Real Oxford Farming Conference this year and was dismayed by the organisers’ comment the leaders of the larger conference across the road ‘were so far from where we are, there’s no point talking to them’.